SAN SALVADOR, El Salvador – The “mother of all caravans” expected to depart from Central America looks more like the baby of all caravans. A group of about 40 migrants was leaving Saturday for the U.S. from the capital of El Salvador. 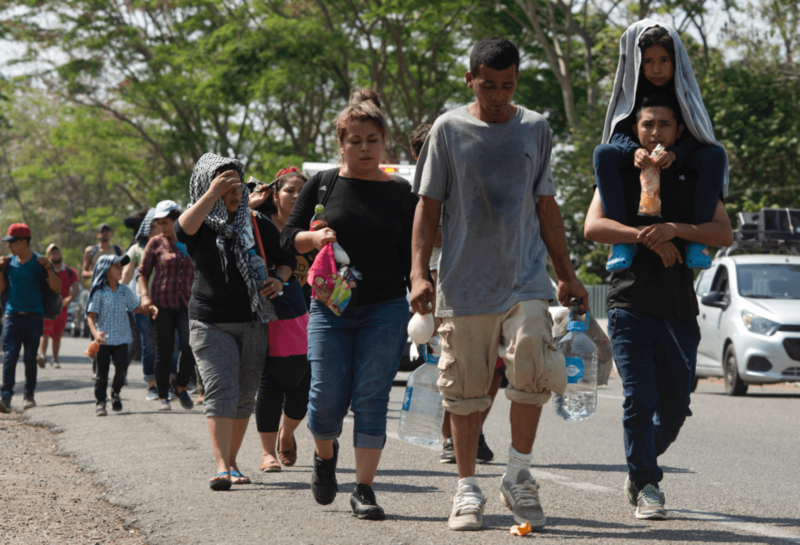 It was not immediately clear whether they were planning to meet up with other migrants from Guatemala and Honduras, but the Honduran government has denied there’s another mass migration from its country. Mexican Interior Secretary Olga Sanchez Cordero said earlier in the week that a caravan of migrants from Central America could be forming with more than 20,000 people. The U.S. state department has cut aid to El Salvador, Honduras and Guatemala, and President Donald Trump accused their leaders of doing “nothing” to prevent illegal immigration to the United States.